Protect the Dead in the Tomb of Doom this Halloween with our Frightening Adult Anubis the Jackal Costume! 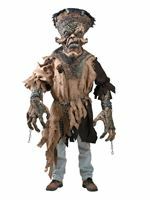 This Creepy and Ancient Costume would be the Perfect Thriller at any Halloween Party. 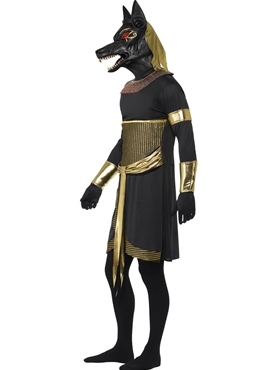 The Egyptian Adult Anubis the Jackal Costume features a Long Black Tunic with a Gold Band Waist and attached Orange Patterned Collar. 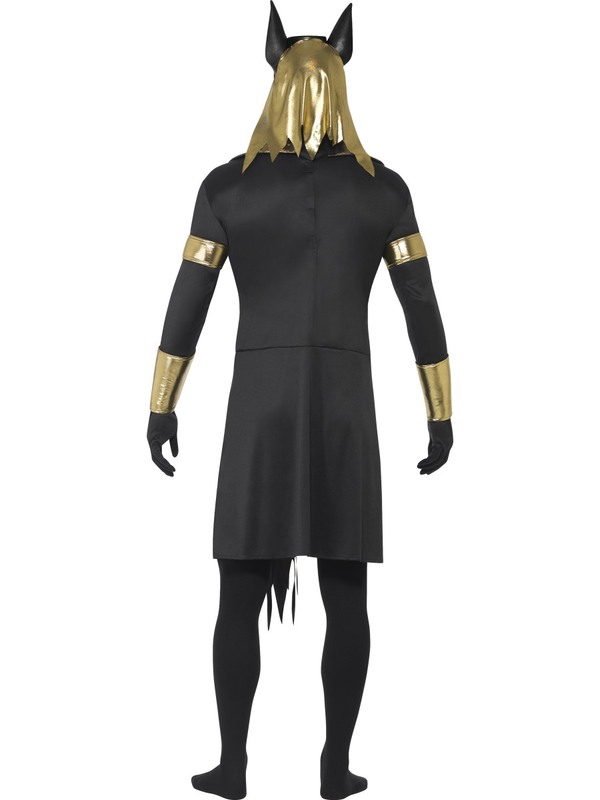 Also included with this Halloween Costume is the Pair of Gold Arm Bands and Arm Cuffs. 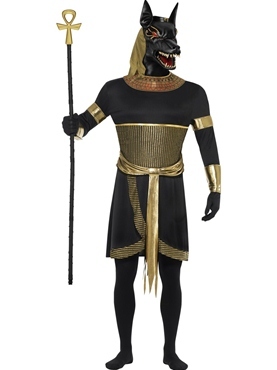 The finishing touch to this Deadly Costume is the Jackal Character Mask with Glowing Red Eyes. 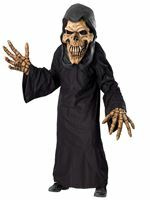 Please note that the Staff is not included. 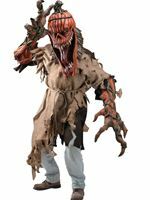 Medium 38" - 40" 32" - 34" 20"
Large 40" - 42" 34" - 36" 21"
Great costume that went down well at the local fiesta here in Spain.